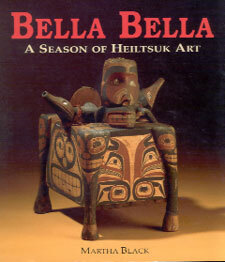 Martha Black also wrote Bella Bella, a Season of Heiltsuk Art (D&M 1997). The R.W. Large Collection in the Royal Ontario Museum is Canada's primary collection of Heiltsuk art, a people who inhabit the center of the Northwest Coast. Their art was greatly influential, including Heiltsuk ceremonialists and canoe makers alongside their artists and this book explores the museum's collection and the mystery behind the culture and art of the Heiltsuk people. 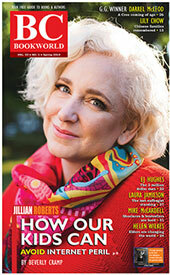 Bella Bella, a Season of Heiltsuk Art. Toronto: Royal Ontario Museum/Vancouver: Douglas & McIntyre, 1997. 202 p. ill. $45.95. [BCBW 2016] "Anthropology" "First Nations" "Art"